Thank you for visiting the website of New Mowasat Hospital. As one Kuwait's most trusted hospitals, New Mowasat Hospital has a proud heritage of serving the community for almost 50 years. This is the hospital's 49th year of operations. We are proud of our history and of a heritage of delivering quality care to all our patients. Offering the best care to every patient is our primary objective and we seek to achieve this goal by leading the way in transformation, diagnostic breakthroughs, innovative approaches, advanced technologies and pioneering research. Our commitment to quality healthcare is reflected in our success. 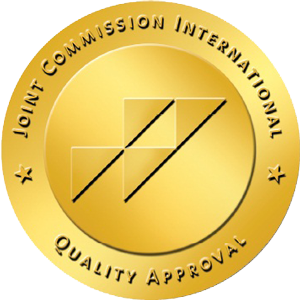 New Mowasat Hospital (NMH) is accredited with Joint Commission International and Accreditation Canada International, the first private hospital in Kuwait to achieve JCI recognition. It is the only hospital to be accredited by two highest accreditation; Accreditation Canada and Joint Commission International. This reaffirms our strengths and is a testimony to our compliance with the highest level of quality care and patient safety as set by the regulatory agencies. We are proud to say that our patients have utmost confidence and trust in us. As we continue in our journey to provide world class healthcare to our patients, we wish to thank you for your continued support and cooperation. The purpose of this website is to introduce you to NMH, its clinical departments and the information you need to know while making appointments with our doctors. I hope that our website provides you with the information that you are looking for with regard to our clinical and non-clinical services so as to facilitate us with the opportunity to serve you. We look forward to your valuable suggestions and feedback in making this a better place.